showing signs of wear while the carabiner hook is made of industrial strength steel making it nearly indestructible. and hammock swings. Purchase two straps for classic tree swings, garden swings, toddler swings, and porch/patio swings. To protect your safety, each strap can weigh up to 1,100 pounds, satisfying your various swings in any environment. 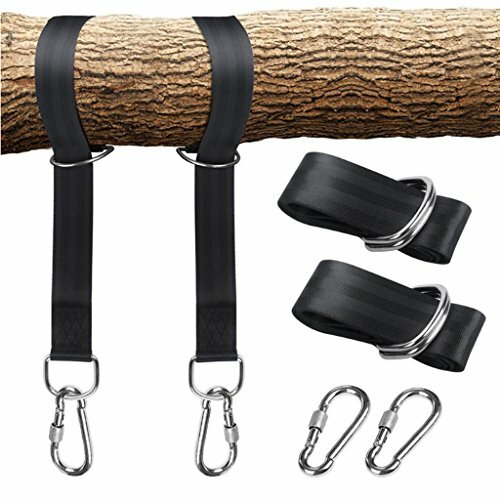 Simple and quick installation, Our tree straps for swing is simpler and safer than any tree swing ropes. Wear-resistant, practical, high-quality woven materials and stainless steel metal make your use more long-term and safe. No drilling or ropes are required, so you can quickly swing the trees without damaging any trees. Both are convenient and protect the environment. Not only this, it is also safe for your children of any age as it can handle greater loads. If you have any questions about this product by UniGift, contact us by completing and submitting the form below. If you are looking for a specif part number, please include it with your message.